Following the successfully managed “100 Years of Mikhail Botvinnik” tournament, the organizers from St.Petersburg are hosting the Lyudmila Rudenko Memorial from 22nd to 31st August. 43 female players, including 8 Grandmasters, are participating in the 9-round Open honouring the second Women’s World Chess Champion. The total prize fund is 7500 EUR, with 1500 EUR dedicated to the winner. The top finishers will qualify to the final stage of Russian Cup according to the Russian Cup 2011 regulations. Lyudmila Vladimirovna Rudenko (27 July 1904 – 4 March 1986) was a Soviet chess player and the second Women’s World Chess Champion from 1950 until 1953. Rudenko held the FIDE International Master and Woman International Master titles, which were awarded to her in 1950. 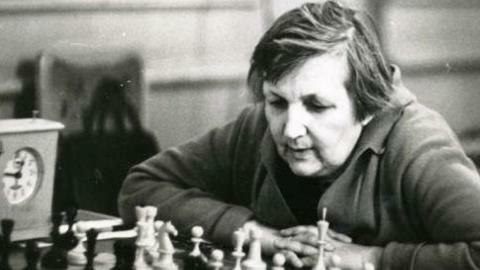 She was awarded the Woman Grandmaster title in 1976. She was USSR Women’s Champion in 1952. Born in Lubny in the Poltava region of Ukraine, in the Russian Empire, her father taught her to play chess at age 10 although at first she was more serious about swimming. Rudenko became the Odessa swimming champion in the 400m breaststroke. In 1925, she was the holder of the title of Vice-Swimming Champion of Ukraine (breaststroke). She began playing tournament chess in 1925 after a move to Moscow. In 1928, she won the Moscow Women’s Championship. She then moved to Leningrad where in 1929 she began training with chess master Peter Romanowski. She won the Leningrad Women’s Championship three times. In World War II, Rudenko organized a train to evacuate children from the Siege of Leningrad. She would describe this as the most important thing she had accomplished in her life.